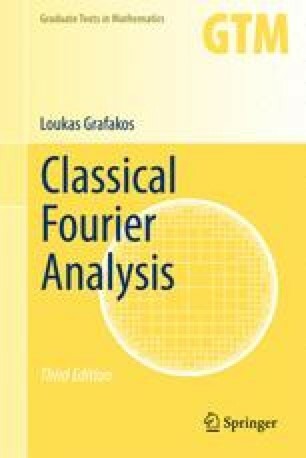 Weighted inequalities arise naturally in Fourier analysis, but their use is best justified by the variety of applications in which they appear. For example, the theory of weights plays an important role in the study of boundary value problems for Laplace’s equation on Lipschitz domains. Other applications of weighted inequalities include extrapolation theory, vector-valued inequalities, and estimates for certain classes of nonlinear partial differential equations.